The Second Squad reports the arrest of a Hicksville man on Thursday, December 4, 2014 in Woodbury for Burglary. Woodbury, NY - December 5th 2014 - The Second Squad reports the arrest of a Hicksville man on Thursday, December 4, 2014 in Woodbury for Burglary. According to Detectives, on June 18, 2014 Second Squad detectives responded to Old Country Road School located at 49 Rhodes Lane, Hicksville for a Burglary. 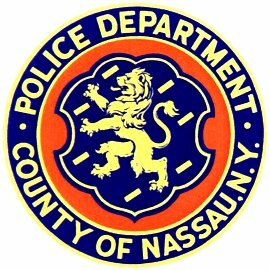 During the investigation a Nassau County Crime Scene detective discovered a latent fingerprint at the scene. The print was determined to belong to defendant Nicholas Donnelly, 16 of Bamboo Lane. The defendant presented himself at the Second Precinct where he was placed under arrest. Donnelly is charged with Burglary 3rd degree and Criminal Mischief 2nd degree. He was arraigned on Thursday, December 4, 2014 at First District Court in Hempstead. Subject: LongIsland.com - Your Name sent you Article details of "Hickville Teen Arrested for Burglarizing Old Country Road School in Woodbury"